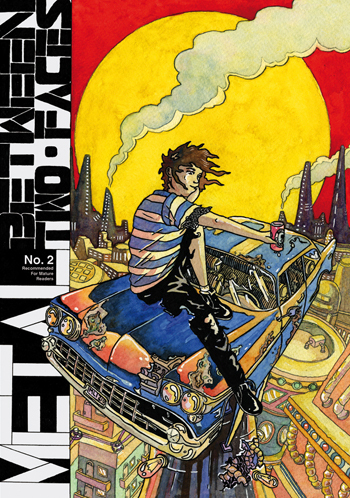 Metal Between Two Faces #2 (26 Pages) Picks up from the previous installment (can be read online), where a Civitran carriage full of early morning commuters was targeted in a mysterious attack. In this issue, we catch up with the investigations of Chief Inspector Randall, we discover the identity of a dead man and we meet Paz and Nix; two girls with very different stories, but both left altered by the same tragic incident six years ago. All of this and still there’s time for some light refreshment, provided in this issue by The Mercurial Malting Mothers and their special blend Old Lucky 13%.